HNB Garhwal University is central university of the Uttarakhand stat, and it has so many branches of other PG and UG collages in Uttarakhand Garhwal regions. Now The Garhwal University has been declared the results of B.Sc (Bachelor of Science) II year today on 11th July 2013. So now students can check their examinations results online. In this year many of the students are appeared in the examinations and they are still waiting for their results, so now the result is declared today. So Here below I am giving a link to check your B.Sc II Year results online. So first of all click the below given link and then submit your roll number on the appropriate box and click to submit. So you will get your result, but in the case if you’re not get your results or it shows you no data, then don’t worry about it, university will updates it soon. And then you will able to see your results. 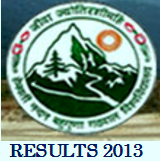 Click here to Check B.Sc II Year results online. For more details check the website of HNB Garhwal University: - hnbgu.ac.in. Click here to check also B.Com results of HNB Garhwal University. For more details about exams and results stays connected with our site or follow our updates.